Click below to view our Frequently Asked Questions about Home Care at Resthaven. Contact Community Services on 1300 13 66 33 or email community@resthaven.asn.au. Resthaven’s Community Services are Australian Government-funded home support or home care designed to help you to live independently in your own home as you get older. You might find that need some help with tasks that you can no longer manage as well as you did beforehand. Early on, you might need help in the home. You could also need aids and equipment to help you with daily living. You might need therapy services that can help you with maintaining wellness, management of chronic conditions and rehabilitation. 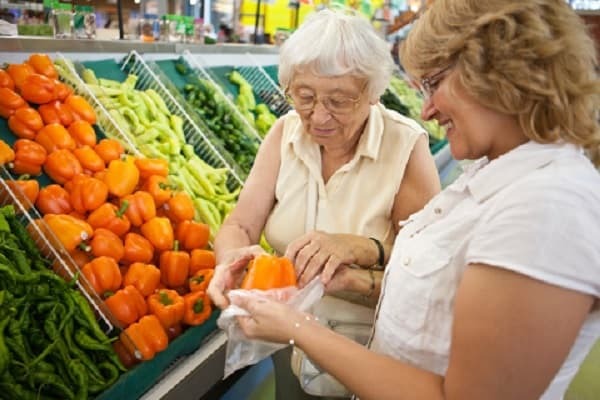 As you get older, you might need help with tasks like dressing or preparing meals. Later, you may also need some level of nursing care to stay living in your own home. Resthaven’s home support and home care services are designed with the aim of meeting your changing needs over time. Resthaven offers a wide range of home care services which are widely accessible, and delivered in your own home. We work with you to choose what support would enable you to continue living at home. Did you know you can access affordable home services without assessment or eligibility testing? Resthaven’s Lifestyle Choices Plus delivers tailored services when and where you want it, with no waiting! Anyone over 65 is eligible to apply for Home Care Services if they have a My Aged Care and/or ACAT referral. All applicants must apply through My Aged Care to facilitate the ACAT referral. If you need an interpreter, all you need to do is ask a Resthaven staff member. Use of an appropriately qualified, accredited interpreter can be arranged with the Translating and Interpreting Service (TIS) on 131 450. Do I need a referral for Community Services? Anyone can refer themselves to Resthaven home support or home care services. You or a family member or friend can make your own referral. Of course, your GP or another health professional can also help you with referral. Call Resthaven on 1300 13 66 33. All access to Australian Government-funded home support or home care services including access to Resthaven’s government-funded services, apart from some services to Australian veterans, is channelled through MyAgedCare. Call Resthaven on 1300 13 66 33 and we’ll help you with a MyAgedCare referral. Resthaven provides a user-pays, fee-for-service basis through Resthaven’s Lifestyle Choices Plus services that are provided to exactly the same high quality and exacting standards as Resthaven’s fully Australian Aged Care Quality Agency-accredited government funded services. Call Resthaven on 1300 13 66 33 and talk to us about Lifestyle Choices Plus. What is MyAgedCare and why do I need a referral for services? MyAgedCare, sometimes referred to as MAC, is the Australian Government’s common gateway to Australian Government-funded aged care services. All access to Australian Government-funded home support or home care services, apart from some services to Australian veterans, is channelled through My Aged Care. This includes all access to Resthaven’s Australian Government-funded services. Resthaven is able to help you make contact with My Aged Care. Call Resthaven on 1300 13 66 33 and we’ll assist you with a referral to My Aged Care. Your level of need for community programs such as the Commonwealth Home Support Programme (CHSP) or Home Care Packages will be determined by an assessment undertaken by an independent My Aged Care Regional Assessment Service (RAS) or Aged Care Assessment Team (ACAT). Resthaven provides services directly to people who may be ineligible for or choose not to use Australian Government-funded services. These services are provided on a user-pays, fee-for-service basis through Resthaven’s Lifestyle Choices Plus. Resthaven’s Lifestyle Choices Plus are provided to exactly the same high quality and exacting standards as Resthaven’s fully Australian Aged Care Quality Agency-accredited government funded services. Call Resthaven on 1300 13 66 33 to find out more about Resthaven’s fee-for-service Lifestyle Choices Plus. Community Services such as home care, are based on a fee for service. The amount you need to contribute depends on your income and the number of services you require. These services are partly funded by the Australian Government. Costs will vary, but are designed to be affordable. Fees for Home Care Package services are set by the Australian Government and are revised twice annually. All clients of Home Care Packages are expected to pay the Basic Daily Fee. If your income is more than the basic age pension you will be required to pay an additional Income Tested Fee (ITF) for Home Care Package services. This ITF is calculated three-monthly by Centrelink, based on your income and is advised to you by Centrelink. Fees for Commonwealth Home Support Programme (CHSP) services are set by Resthaven annually and are advised to all clients of the CHSP. To apply, call Resthaven Community Services now on 1300 13 66 33. What if I feel I can't afford the fees? Fees are payable for Resthaven Community Services clients and are set by the Australian Government or by Resthaven. If a person feels that their circumstances mean that they will be unable to pay the full set fee, this may be discussed with a Resthaven representative. People who feel that they will be unable to afford the payment of fees for a Home Care Package may apply to Centrelink for Financial Hardship Assistance. Financial hardship assistance is available for the Basic Daily Fee and/or the Income Tested Fee (ITF) for people who started receiving a Home Care Package on or after 1 July 2014. Assistance that is available to people who feel they can’t afford to pay fees is outlined on the My Aged Care website – What if I can’t afford to pay? Need Assistance with Care and Housing? Resthaven can help! 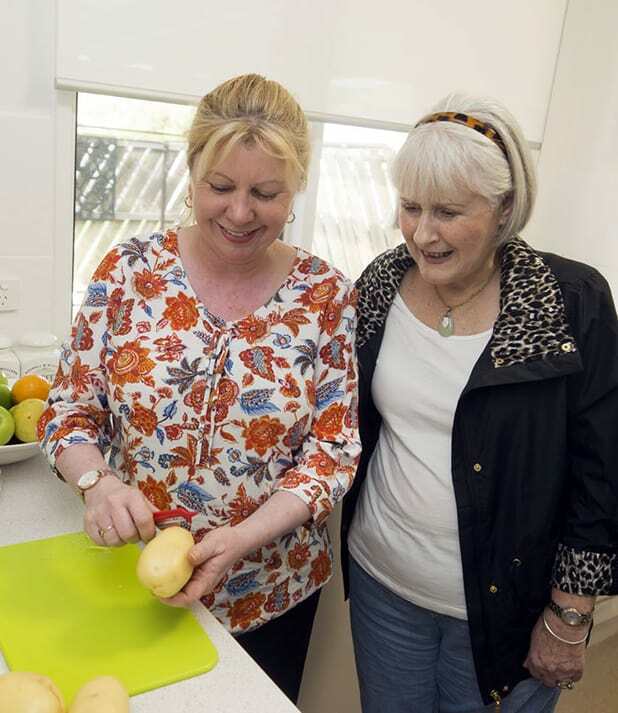 The Assistance with Care and Housing Programme helps older people find secure, sustainable and affordable housing, and link with support services. The Assistance with Care and Housing Programme is available to people over the age of 50 years, from all backgrounds, who are on a low income and are homeless, or may be at risk of becoming homeless from not having secure accommodation. How can I choose Resthaven as my Preferred Service Provider? Yes, you can choose Resthaven as the organisation that you want to provide your services. When you make contact with MyAgedCare by phone on 1800 200 422 you will be asked questions that establish your eligibility to received Australian Government-funded services, you will also be able to advise call centre staff or an assessor if you have a preference for which organisation you want to provide your services. You have a right to make this preference known. We ask you to note that access to Resthaven services may be constrained by the availability of given services in your area. If you have a preference to use Resthaven to provide you with services but there is a waiting list, Resthaven provides services on a user-pays, fee-for-service basis through Resthaven’s Lifestyle Choices Plus. You may use these services in the interim while you wait for subsidised service to become available at Resthaven. I already have a home care package. Can I choose Resthaven? From 27 February 2017, the Government’s ‘Increasing Choice in Home Care’ came into effect. This means, if you want to choose Resthaven to deliver your services, you will not need to reapply—you can take your package with you. Contact Resthaven Community Services on 1300 13 66 33 for more information. What if I'm not eligible? Can I still access home care services? If you are not eligible for a government-funded package, you can still access these services on a full fee for service basis via our Affordable Private Services program, Lifestyle Choices Plus. Call Resthaven Community Services now on 1300 13 66 33 for more information. What is a RAS (Regional Assessment Service)? A RAS (pronounced razz) is a Regional Assessment Service that is part of MyAgedCare. Once you have made contact with MyAgedCare on 1800 200 422, your eligibility for services and your level of need for services will be assessed over the phone. If you are referred to a RAS, the RAS will contact you to arrange the assessment. During the home support assessment, the RAS assessor will work with you to develop a support plan that reflects your needs, goals and preferences. The outcome of your home support assessment may include referral to Commonwealth Home Support Programme (CHSP) services, such as transport, social support, domestic assistance, personal care, home maintenance, meals, home modification, nursing care and flexible respite services. An ACAT (pronounced ay-katt) is an Aged Care Assessment carried out by the Aged Care Assessment Team (ACAT). Once you have made contact with MyAgedCare on 1800 200 422, your eligibility for services and your level of need for services will be assessed over the phone. If it is thought that you might be in need of a Home Care Package you will be referred to your local ACAT who will organise a team member, usually a nurse, social worker or other health care professional, to see you face to face. This meeting will typically be in your own home or the hospital, if you’re currently in hospital – wherever you need or prefer to be seen. In the ACAT assessment process you will be asked various questions about what activities of daily life you need help with and then a recommendation of what level of Home Care Package you need will be made. You may like to ask a family member, friend or carer to be with you during the assessment for extra support. The ACAT is not carried out by Resthaven; the ACAT is an independent government organisation. What is CDC - Consumer Directed Care? Consumer Directed Care (CDC) is a way of delivering Home Care Package services that gives you choice and control over the types of care and services you receive, how care is delivered and who delivers it to you. With CDC, you have the opportunity to decide how the funds allocated to you in your Home Care Package are used. You will know what the budget allocated to your Home Care Package is, and receive a monthly statement that lets you see exactly the funds available to you, and how they are being spent on the services that you have requested. With CDC you can design your own service plan according to your needs and preferences. Services will be tailored to assist you to maintain independence and continue to participate in activities that are important to you. Where are Resthaven's Community Services available? Resthaven offers home care services across metropolitan Adelaide, the Adelaide Hills, Murraylands, Riverland, the Limestone Coast and the Fleurieu Peninsula, so there may be a service available near you! Call Resthaven Community Services now on 1300 13 66 33. National waiting lists apply for home care packages, and must be facilitated through My Aged Care. 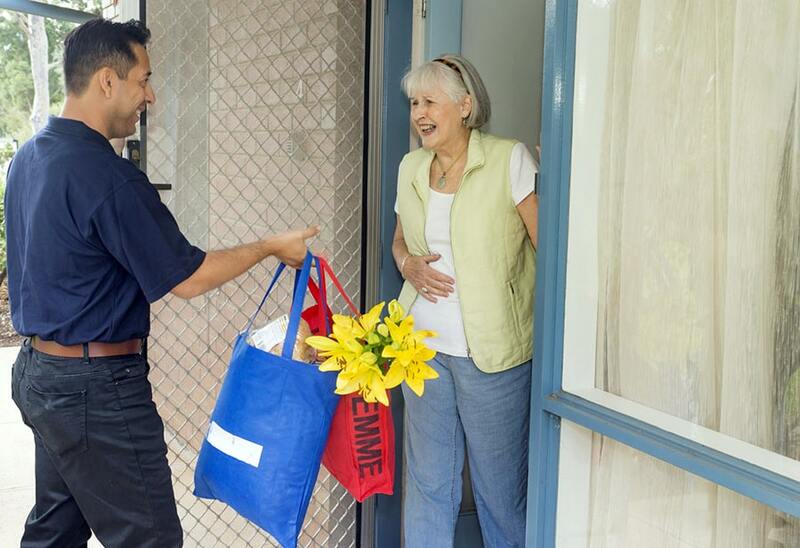 If you have been allocated a Home Care Package, Resthaven can provide in-home services to help you stay independent. If you need a little support at home, or are waiting for a Home Care Package, you may be eligible to receive government subsidised support through the Commonwealth Home Support Program. Resthaven is also a contracted Veterans’ Home Care and Home Nursing provider on behalf of the Department of Veterans’ Affairs. Alternately, Resthaven’s services can be accessed through Lifestyle Choices Plus without any waiting times. When you apply for home care through My Aged Care, you are assessed by professionals to determine the level of supportive care that is right for you. Receiving your services from Resthaven ensures that you are connected with caring and knowledgeable coordinators, who monitor your care plan on a regular basis and adjust support as your needs change. Call Resthaven Community Services on 1300 13 66 33 for more information. The intention is to provide support for carers in their caring arrangement, to enable the care recipient to remain living in the community longer. Many older people in Australia receive care from their partner, family members or friends. Caring is a challenging and demanding yet rewarding role. We recognise that carers also need care, and need to take a break from their caring role in order to manage other aspects of their lives, and look after their own health and wellbeing. Respite care is provided in a number of settings to allow flexibility for carers and consumers. Short term residential respite is available for up to 63 days per person per year, often taken in blocks of about two weeks or more. Community respite for carers of older people is also available, either in the person’s home, in groups and in centres. What if I want to change my services? If you believe a change to your services would be beneficial, contact your coordinator or Resthaven Community Services on 1300 13 66 33. What if I want to have aged care support but don't want to use government-funded services? Resthaven provides services directly to people who choose not to use Australian Government-funded services. 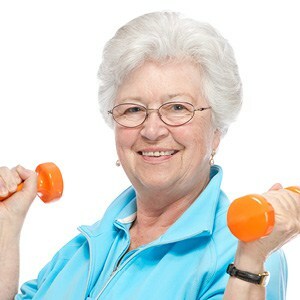 These services are provided on a user-pays, fee-for-service basis through Resthaven’s Lifestyle Choices Plus. What different types of government-funded aged care are available for people living in the community? Available to older people living in metropolitan Adelaide, Resthaven’s Short Term Restorative Care (STRC) Program provides services over an eight week period to improve your wellbeing and independence. Resthaven will work alongside you and your health team to support you to identify your goals and design your plan. 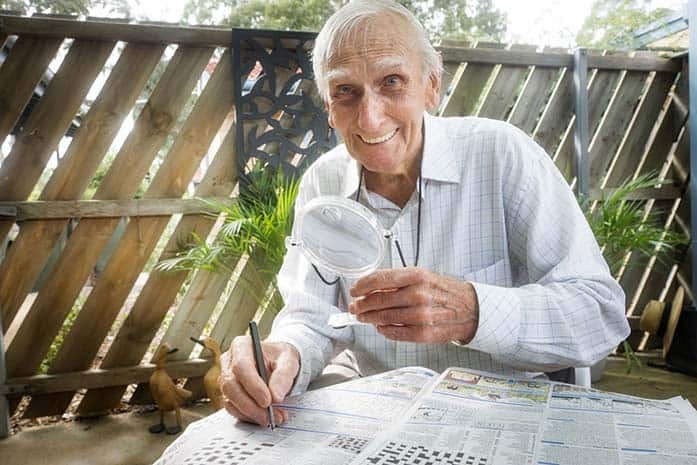 There are two Australian Government-funded programs that provide support and care to older people living in Australia to help them live independently in their own homes for as long as possible. These are the Commonwealth Home Support Programme (CHSP) and the Home Care Packages (HCP) Programme. The Commonwealth Home Support Programme (CHSP) helps you stay independent and in your home and community for longer. The CHSP is an entry level program for older people aged 65 years and over (or 50 years and over for Aboriginal and Torres Strait Islander people) to provide a base level of care to support you to be independent in your own home and in your community. You can access a wide range of services such as domestic assistance; social support at home and the community, individually and in groups; support to go shopping, and health and wellness services such as podiatry, physiotherapy, occupational therapy, continence support or counselling. Through individually tailored support, a Home Care Package (HCP) supports people who need assistance to remain at home. There are four levels of HCP. Levels 1 and 2 are designed to help people with basic or low level care needs. Levels 3 and 4 help people with intermediate to high care needs. Services are delivered using a Consumer Directed Care (CDC) approach, which gives you choice and flexibility in the way your support and care is provided. You can design your own service plan according to your needs and preferences. Services are tailored to assist you to maintain independence and continue to participate in activities that are important to you. Where can I find independent advice to find my way through all of the information? 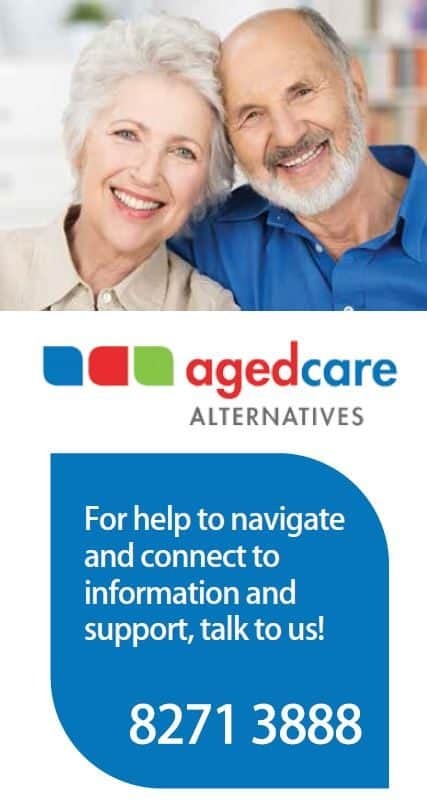 You can also make contact with Agedcare Alternatives for free help to navigate and connect to information and support for older people and their carers. 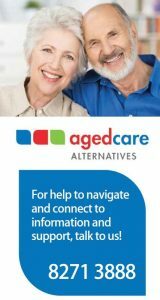 Call Agedcare Alternatives on (08) 8271 3888 or visit www.agedcarealternatives.net.au. Agedcare Alternatives provides personalised face-to-face support from a volunteer Options Guide to help you find out more about aged care services and how to access them. Agedcare Alternatives can provide you with information about MyAgedCare and can support you make contact with MyAgedCare if you need that support. Where can I get more information about how to access a Home Care Package? Follow the information in the link below to register for aged care services. Resthaven will help you with this process, call Resthaven on 1300 13 66 33 and we’ll assist you with the steps that you need to take to access a Home Care Package. You can also make contact with Agedcare Alternatives for free help on how to access a Home Care Package. 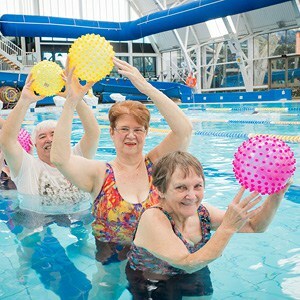 Call Agedcare Alternatives on (08) 8217 3888 or visit www.agedcarealternatives.net.au. 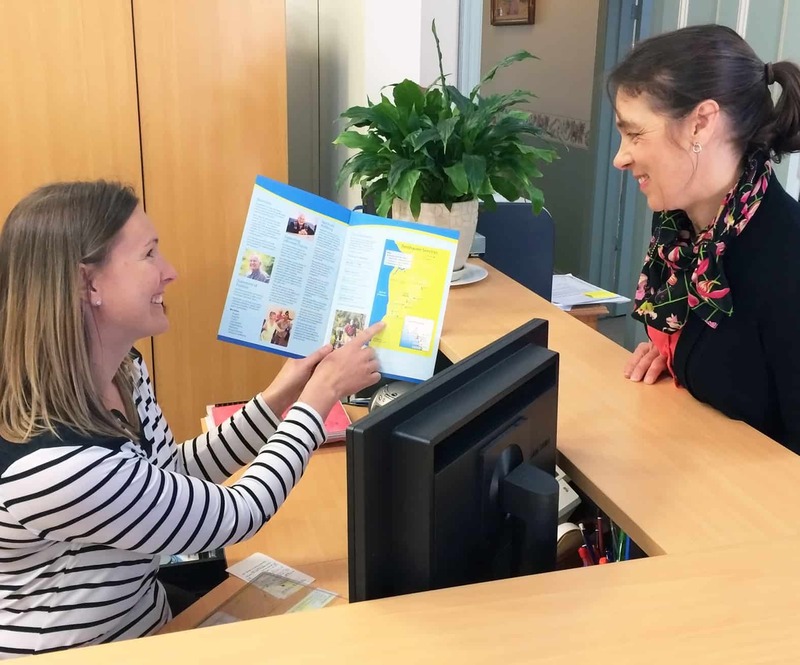 Agedcare Alternatives provides personalised face-to-face support from a volunteer Options Guide to help you navigate the system and find out more about aged care services and how to access them. What are my rights and responsibilities as a Community Services client? Resthaven is committed to supporting and protecting the rights of all clients while recognising clients’ responsibilities. This commitment is part of our ongoing aim to deliver high quality services that meet the needs of the people who we support to live independently at home. All users of Australian Government-funded aged care services have certain rights and responsibilities that are part of Australian Commonwealth Aged Care legislation. Resthaven is committed to supporting and protecting the rights of clients while recognising clients’ responsibilities. This commitment is part of Resthaven’s delivery of high quality services that meet the needs of the people who we support to live independently at home. Your rights and responsibilities are detailed in the Charter of Rights and Responsibilities for Home Care (click the link below to download). Need some help to remain living at home?